ASPHER’s annual Deans’ and Directors’ Retreat from 26-29 May 2019 in Erice, Italy is fast approaching. Learn more from the Retreat Announcement. Interest in this year's Retreat is high. Register to secure your place! Early bird registration is now closed. Registration at regular rates is available online here. 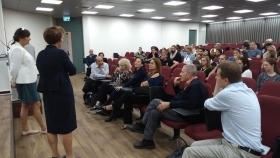 The retreat will be hosted by the Board of Directors of the Italian Public Health Schools, in collaboration with the Italian Society of Hygiene, Preventive Medicine and Public Health (SItI). Nominations are open for the 2019 Andrija Štampar Medal. Please send your nominees with a short bio to robert.otok@aspher.org. The 2018 Andrija Štampar medal went to Professor Dame Anne Johnson in recognition of the outstanding accomplishments during her career. Among the candidates were leading prominent figures from the political, policy and academic world, whose contribution to public health has also been of great value. The ASPHER Executive Board decided that professor Johnson is this year's most suitable candidate because of her global profile and because her work has an impact on multi-faceted issues in health such as training, leadership, and research, all of which are very relevant to ASPHER. As always, the award ceremony will take place in the context of the European Public Health (EPH) Conference. This year's EPH Conference, the 11th edition, will take us to Ljubljana from 28 November to 1 December. Registration is now open for the 12th EPH Conference in Marseille, France from 20-23 November 2019. The theme for this year's event is: "Building bridges for solidarity and public health." A call for abstract submissions is open until 1 May. ASPHER will be onsite as usual. Look for our updates including an exciting new collaboration for our Young Researchers' Forum. More to come on that soon! Last year's conference in Ljubljana, Slovenia was incredibly productive for ASPHER with many positive developments. Read about ASPHER's activites in the Winter Newsletter. ASPHER is proud to announce the 5th Edition of ASPHER's European List of Core Competences for the Public Health Professional. The new edition was edited by Anders Foldspang, Christopher A. Birt and Robert Otok and the Council of ASPHER’s European Public Health Reference Framework (EPHRF). Advisory contributions were made from expert groups within: epidemiology and biostatistics; sociology; environmental health; health economics; leadership; nutrition; communicable disease prevention and control. Population health and health systems change, as do public health practice, theory, terminology and scientific research methods. Thus, a list of public health competences needs to be developed continuously and the newly revised list seeks to address recent advancements. 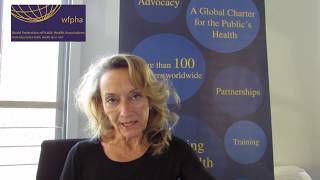 ASPHER is actively engaged with efforts to professionalize Europe’s Public Health Work Force. ASPHER is currently part of the Coalition of Partners in collaboration with WHO/Europe, APHEA and many other experts across the European Region. The CoP project includes the development of three key products to help guide professionalization: 1) A Roadmap towards Professionalisation of the Public Health Workforce; 2) A Core Competencies Framework for Public Health Workforce; and 3) Handbooks for Managing Public Health Professional Credentialing, and Accreditation Systems. ASPHER also led on the development of the EU HPP Joint Statement on Public Health Workforce Development and Professionalisation in collaboration with various organisations and members of the EU Health Policy Platform (EU HPP) calling for a collaborative and consensus-building action on the continuing development and professionalisation of the public health workforce in Europe. On Friday 9 March, ASPHER signed a Memorandum of Understanding (MoU) with its American counterpart, the Association of Schools and Programs of Public Health (ASPPH) in the context of ASPPH's annual meeting that took place from March 7 until March 9 in Arlington, VA.
CASE STUDIES IN PUBLIC HEALTH BY PROF TH TULCHINSKY: NOW AVAILABLE! The 22 cases chosen for this collection represent a wide array of public health issues that go into the makeup of the New Public Health, which includes traditional public health, such as sanitation, hygiene and infectious disease control, but widens its perspective to include chronic diseases, nutrition, organization, financing and quality of international health systems and health in a much broader sense. Each case is presented in a systematic fashion to facilitate learning, with the topic background including the key pioneers, current relevance, economic and ethical issues, conclusions, recommendations, student review questions, and recommended references. For more information on the book, you can download the flyer here. FOR SCHOOLS OF PUBLIC HEALTH: This site will facilitate your becoming part of a vibrant, dynamic community of schools of public health. Share best practices and learn from one another. FOR PROSPECTIVE AND CURRENT STUDENTS: Here you can learn about and compare different offers from schools of public health. Assess and map out your prospects for career development. FOR ALUMNI AND ALL PUBLIC HEALTH PROFESSIONALS: Here you can obtain career guidance and learn about continuing professional development opportunities in the public health arena. FOR PUBLIC HEALTH SYSTEM PLANNERS: Find resources on the public health workforce development. Review and compare school profiles, public health education and training schemes in Europe.